The mini-pedal market has been booming the past few years, so Ibanez felt the time was right to offer some of their most legendary pedals in new mini housing! 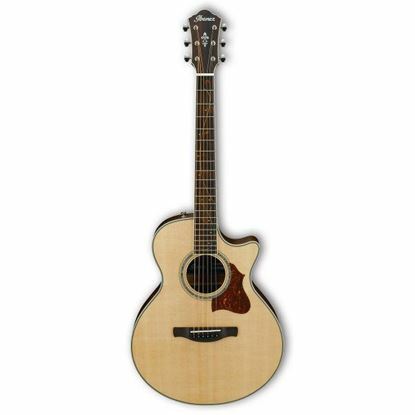 The Ibanez AEG1812II DVS 12 String Acoustic Guitar is designed with a slender single-cutaway AEG boday for a strong, balanced sound whether unplugged or amplified. This guitar is powerful, whether played unplugged or through an amp. The classic workhorse, fit for any occasion that will never let you down in quality or playability. The high quality pickups provide sparkling tones that you will love! This guitar comes in a Natural finish. The AEG series slender, single-cutaway bodies deliver powerful and balanced acoustic sound , unplugged or through an amp or PA system. These guitars combine easy playability, classic solid and sunburst finishes and Mahogany bodies with Spruce or Flamed Maple tops to create a quality, workhorse acoustic guitar that will rise to any occasion. 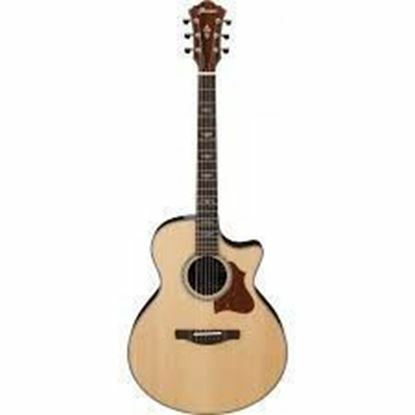 The Ibanez AEG8 from the AEG Series which has slender, single-cutaway bodies deliver powerful and balanced acoustic sound, unplugged or through an amp or PA system. Ibanez’s AEG Series guitars feature slender, single-cutaway bodies that put out a strong, balanced tone whether unplugged or through an amp or PA system, with Fishman® Sonicore pickups and Ibanez preamps with onboard tuners providing sparkling tones that sound great in any venue. 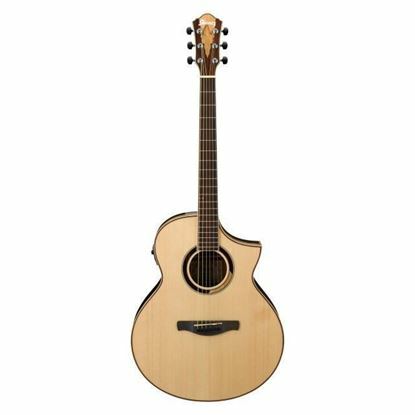 The Ibanez AEG8TNE-NT is an AEG Series 6 String RH Classical Acoustic Electric Guitar with ICLS6NT strings in Natural High Gloss. AEG Thin body with Spruce top and Mahogany neck, back, and sides. The ever-popular Ibanez Artwood Exotic Wood Series is the blend of exotic tone woods and creative design that coalesce to produce instruments of rich, balanced tone and unique beauty. 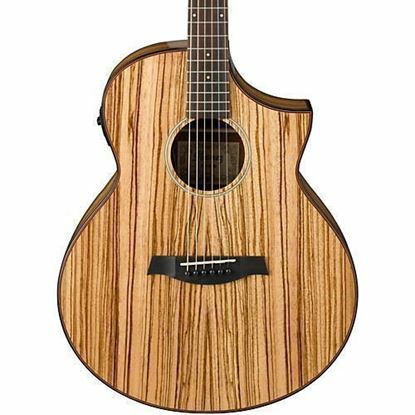 The Ibanez AEW40ZWNT is an EW body acoustic/electric with Zebrawood top, back & sides. With its alternating light and dark lines, the unique appearance of this instrument is truly stunning. Indigenous to Western Africa, Zebrawood is similar to Indian Rosewood with well-defined bass and trebles, and projects with excellent volume. Electronics on the AEW51NT include a Fishman Sonicore pickup and an AEQ-SP2 preamp for complete tone control, 1/4” and XLR outputs, plus an onboard tuner for quick, discreet tuning. Other features include chrome die-cast tuners with black knobs, a rosewood fretboard and bridge, and Ibanez Advantage Bridge Pins for improved tuning stability. This beautiful instrument is finished off with maple body binding, a rosewood/spalted maple rosette and a high gloss natural finish.